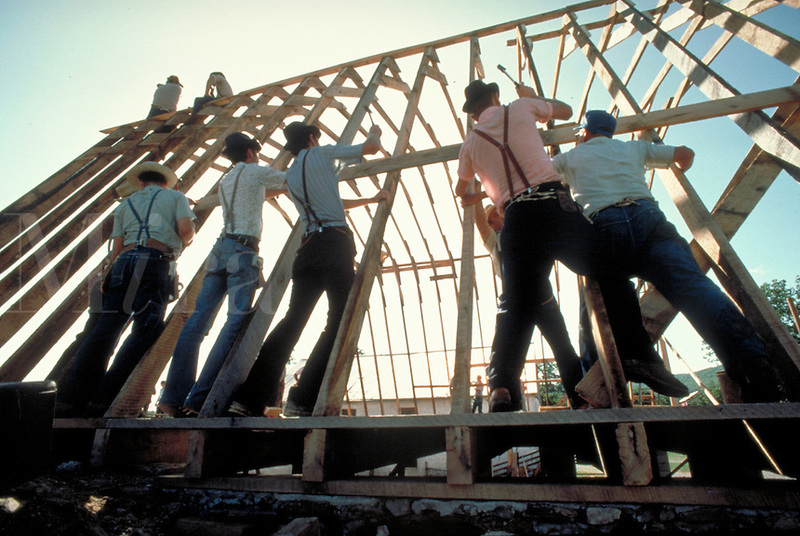 Conservative Mennonite men working together nailing the rafters of a new barn for a community member during a one-day barnraising. Mennonite farmers. Lancaster Pennsylvania United States Mennonite farm.